As it’s a family affair, it’s entirely fitting that the story of Lightsleeper begins at a wedding. A short time later, however, the groom is fully unconscious. In the euphoria - and red wine - of the moment, a wedding guest lifts Liam onto his shoulders - only for said guest to misjudge the lift, and send the groom crashing to the ground. “He was out cold for a moment - then lifted his hand to reveal a dislocated thumb,” Neil Finn recalls now, three years later. “That was the night over for him - but not everyone else. Minutes later, our marriage celebrant appeared, naked, out of the water, and strolled calmly through the taverna - coming to a halt in front of someone’s dallying husband that she ended up giving a big tonguey pash,” he adds, amused. Beautifully, this story has all the elements of the Finn psycho-geographic landscape in a nutshell: family; song; love; red-wine joy; a cameo from the gods and their fickle influence over mankind’s fate; a painful intimation of human fragility and mortality; lust; kitchen-sink drama; and endless soaring skies. It’s little wonder that this was the moment in which Lightsleeper began. 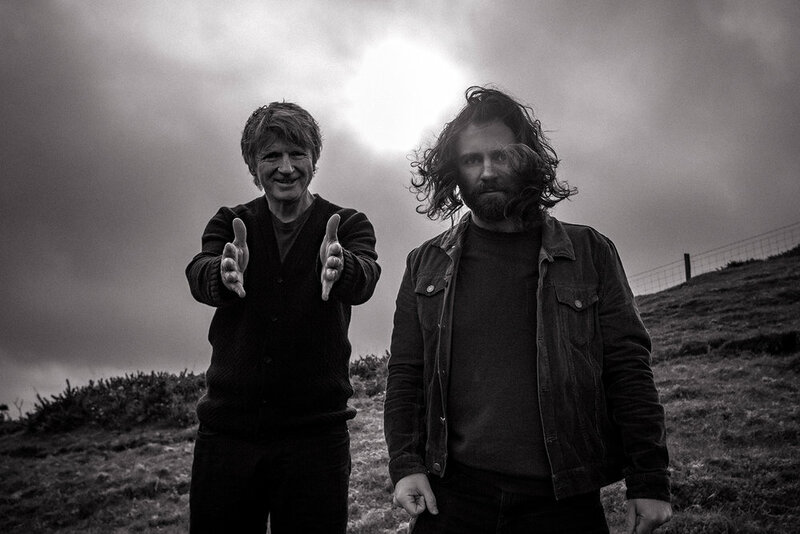 For, once everyone’s hangovers had subsided, and Liam’s thumb became functional again, Lightsleeper started to come together: the first album written by father and son team Neil and Liam Finn. Mainly recorded in Neil’s Auckland studio, Lightsleeper was intended to capture an atmosphere of “dreamy, cinematic beginnings”, and deal - in part - with the “profound generational shift” of both Liam’s marriage, and then the subsequent birth of his baby: Neil’s first grandchild. That it bursts with both melody, and the trademark, woozy, switchback flips between the euphoria and sore longing that the Finn family are know for, goes without saying. It’s as sweet, drifting and burnt as wood-smoke. It’s the kind of album that you don’t so much play, as let ... coil through your house. Days later, you find yourself humming a fragment of it; running back to the record-player and pressing “play” again, to get that same oxytocin hit. Neil and Liam work so well together - Liam layering “lo-fi sounds and atmospherics” over Neil’s lovesick Listen ; Neil writing the first half of the liquidly rueful Hiding Place, then watching Liam finishing it, and taking it somewhere “totally unexpected” - that one wonders why they didn’t write together earlier. After all, musical collaboration is a well-established and wildly successful Finn family trope: Neil joined older brother Tim’s legendary new wave band Split Enz, and worked with him in the globally- conquering Crowded House, before recording the ravishing, stoned Finn Brothers album together. Finn fate is for Finn to sing unto Finn, it seems. 􀀀“I think it’s probably taken this long, because I’ve been doing my own thing,” Liam muses. Leaving New Zealand at twenty, Liam relocated to Australia with his first band, Betchadupa. When they moved to London, and then split, he began a solo career, attracting worldwide acclaim with the I’ll Be Lightning album, and touring with Eddie Vedder, The Black Keys and Wilco. Two more albums followed: the tours gaining Liam a spiraling reputation for wild - and often unpredictable - live performances. In 2015 - curious to see what happened - Liam and Neil finally came together onstage, with the set-list split 50/50. “As I’m not entirely deluded - yet - I knew the people coming to those shows weren’t as familiar with my work as Dad’s; but the shows seemed to flow really well,” Liam says, modestly. Anyone who saw Finn Sr and Jnr on tour - say, their Shepherd’s Bush Empire gig - will recall Liam as a shaggy-haired and effortlessly charismatic warrior in a red jacket, tearing up the stage with a Viking zeal, which his father, sitting at the piano, watched with joyous, elder-lion pride. “After those live shows, we thought, ‘Well, wouldn’t it be nice to have songs to play that we’ve written together?’” Liam says, simply. “That evokes Liam’s childhood spent moving around on buses, and how we’ve now both arrived at place where we have fully lived a life, and can relate to each other as adults,” Neil nods. “It feels poignant - after just completing our first tour with our son Buddy on the road,” Liam agrees. Any Other Way, and We Know What It Means. This unmistakable spirit - of musicians at their peak, bound together by the still-hot desire to make music that isn’t simply that year’s work, but something brewed up with bones, love, quiet revelation and the perfectly-evoked euphoria of being alive - is what makes Lightsleeper such a gorgeous progression in the Finn family musical history. It’s the Finns you turn to, time and time again, when you need a song that effects that Blakeian miracle - of showing you the world in just one grain of sand. And indeed, this ethos continues in the Finn/Finn side-project: a forthcoming film, shot on tour in New Zealand as they abandoned the urban hubs, and headed up into the hills, down into the valleys, and over to the beach, playing tiny community halls - curiously and lovingly looking their country in the eye. Some truth on your home-town; where it had always been waiting for you. And is there a Finn family motto, musically-speaking? “I guess it’s, ‘Does it make you feel something?’” Neil replies. There is no better intent. That’s all there is. Copyright © 2018 Neil & Liam Finn.